I've driven by this home for years and often thought it had the best curb appeal in sought after Hunt Ridge North. It sits at the end of the cul de sac and is situated in such a way that the rear yard feels like a retreat. Enjoy the 1.7 acre yard under the retractable awning or on the paver patio. Feeling more adventurous? 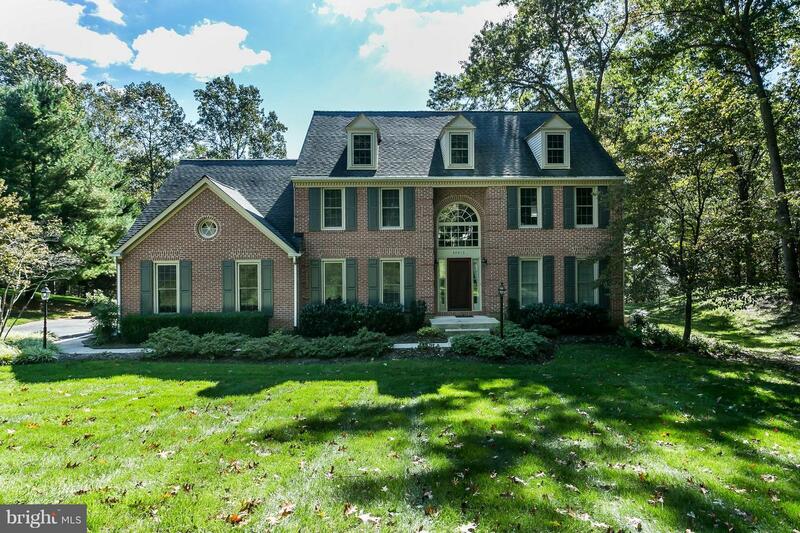 Walk to the end and wade in the creek.As one of the largest in the development, this home offers 4, possibly 5 bedrooms, 3 full and 1 half baths, a first floor office, spacious family room with propane fireplace and so much more. The lower level has flexible use but currently offers a workshop, storage area with built-in shelving, recreation room and exercise space. The walkout orientation allows for wonderful natural light. The original owners of this home have taken utmost care while maintaining and updating mechanics and decor. Feel free to contact me for a list of updates. Your new neighbors are waiting!